« Don’t Miss These Winter Festivals! Like much of the eastern United States, we had our first “real” snow of the year this past weekend (real in the sense that it didn’t melt away the same day). The timing was perfect, as thousands of visitors were here in Freeport for the 16th annual Sparkle weekend. Judging from the reactions of our guests, it was a wonder-filled, almost magical weekend! Now that Sparkle is past, we look forward to a couple of weeks of Christmas shoppers and those who enjoy just one more getaway before the holidays. Then we embark on the remaining projects around the house, as well as a bit of vacation in the early Spring. Meanwhile, there is lots to do in the winter months in Maine! 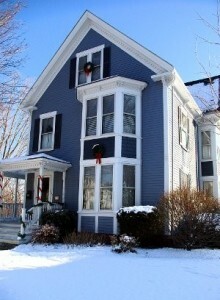 Winter activities abound throughout the area. 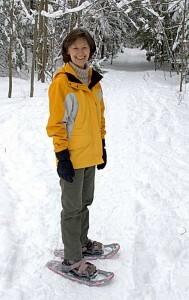 There is snowshoeing and cross-country skiing at nearby Pineland Farms, with miles of groomed trails. 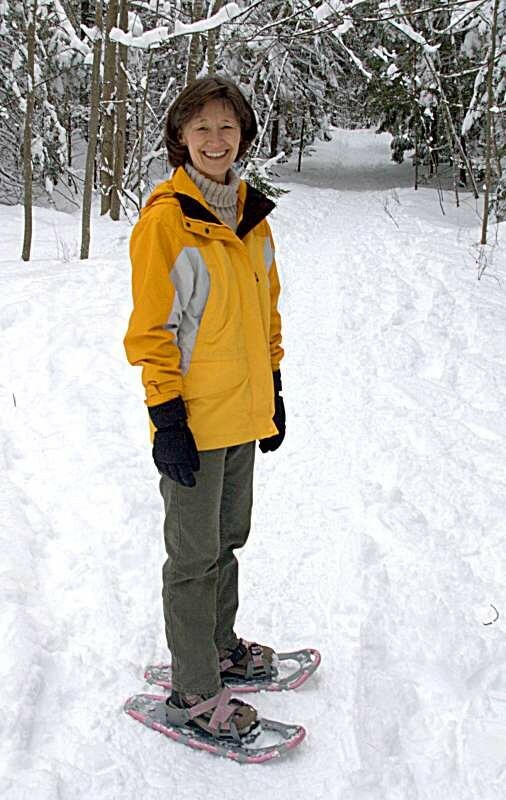 For the adventurous, you can also cross-country (Nordic) ski or snowshoe at Wolfes Neck Woods State Park in Freeport. The trails there are well-used, but not groomed. Are you interested in snowshoeing or cross-country skiing, but need a bit of help to get started? L.L. Bean’s Flagship Store in Freeport has introductory lessons as part of their Outdoor Discovery Program for only $15 per person, December through March as conditions allow on Saturdays and Sundays. Cross-country skiing is at 1:00 p.m. and 3:30 p.m. and snowshoeing is at 9:30 a.m. and noon. No pre-registration is required, and all equipment is provided. Of course, when you finish with your outdoor activities, there is a hot cup of cider, hot chocolate, or tea waiting, along with some snacks. Then there are the shops and outlets in Freeport, to help you return to civilization. You may want to verify with us, or with the places you want to go, that they are open, especially in the early part of the winter, but there are many choices, and so much to do that you’ll want to plan to be here for several days!